It’s the environmentalists’ worst nightmare – the choice between fossil fuel power stations, which emit carbon dioxide – allegedly harmful to the climate, on the one hand, or nuclear, zero emissions but feared and loathed in equal measure, on the other. They are sitting on the extremely sharp and painful horns of an insoluble dilemma. It is one year since the Japanese earthquake and tsunami that put the Fukushima nuclear power plant out of action. The resilience of Fukushima to such an event, however, convinced even George Monbiot to support nuclear power, since in his view it is by far the lesser of two evils. Oops. If the environmentalists are so concerned about the dangers of catastrophic AGW, then they really should get their priorities right. Why? Because nuclear power is safe, clean, reliable and efficient – and produces zero CO2 emissions. Contrast with “renewables” which are horrifically expensive, unreliable and inefficient, and require CO2-belching fossil fuel backup. And wind turbines shred rare birds. And with the hysteria surrounding Fukushima, which resulted in the most astonishing fear-through-ignorance anti-nuclear knee-jerk reaction from many countries, it demonstrates that at least the US is taking its energy security seriously, and is not prepared to rely on hopeless renewables to keep the lights on. The United States’ first new nuclear power plant in a generation has won approval after federal regulators voted on Thursday to grant a licence for two new reactors at a site in eastern Georgia. 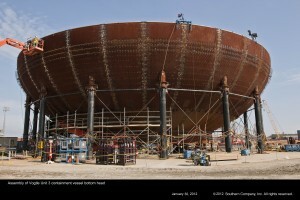 Atlanta’s Southern Co hopes to begin operating the $14 billion reactors at its Vogtle site, south of Augusta, as soon as 2016. The Nuclear Regulatory Commission (NRC) approved the company’s plans on a 4-1 vote. The NRC last approved construction of a nuclear plant in 1978, a year before a partial meltdown of the Three Mile Island nuclear plant in Pennsylvania. That accident raised fears of a radiation release and brought new reactor orders to a near halt. The planned reactors, along with two others in South Carolina expected to win approval in coming months, are the remnants of a once-anticipated building boom that the power industry dubbed the “nuclear renaissance”. The head of an industry lobbying group said the Vogtle project could be the start of a smaller renaissance that expands nuclear power in the United States. “This is a historic day,” said Marvin Fertel, president and CEO of the Nuclear Energy Institute. He said the NRC vote “sounds a clarion call to the world that the United States recognises the importance of expanding nuclear energy as a key component of a low-carbon energy future that is central to job creation, diversity of electricity supply and energy security”. If the climate catastrophe is half as serious as claimed, nuclear is the ONLY option for energy security. Some greens have wildly exaggerated the dangers of radioactive pollution. For a clearer view, look at the graphic published by xkcd.com. It shows that the average total dose from the Three Mile Island disaster for someone living within 10 miles of the plant was one 625th of the maximum yearly amount permitted for US radiation workers. This, in turn, is half of the lowest one-year dose clearly linked to an increased cancer risk, which, in its turn, is one 80th of an invariably fatal exposure. I’m not proposing complacency here. I am proposing perspective. Nuclear power will be needed to supply up to 75 per cent of Australia’s baseload electricity by 2060, a climate change expert says. Barry Brook, chair of climate change at Adelaide University, said the scenario would be the same for other modern and emerging economies if the current demand for low-carbon energy continued. He said such a change in supply dynamics would require a large-scale but prudent expansion of nuclear energy infrastructure, including incorporating lessons learnt from the nuclear crisis in Japan. ‘Globally, to service such power demands will need current levels of nuclear energy supply to increase 21-fold around the world,’ Professor Brook told the Paydirt 2011 Uranium Conference in Adelaide on Tuesday. Prof Brook said the problems with the earthquake and tsunami-damaged Japanese nuclear reactors would, in time, be seen in their proper context. ‘They will lead to improved measures at protecting against extreme natural events,’ he said. ‘They also provide greater encouragement for governments and energy utilities to move even more rapidly now to the very latest nuclear power technologies. 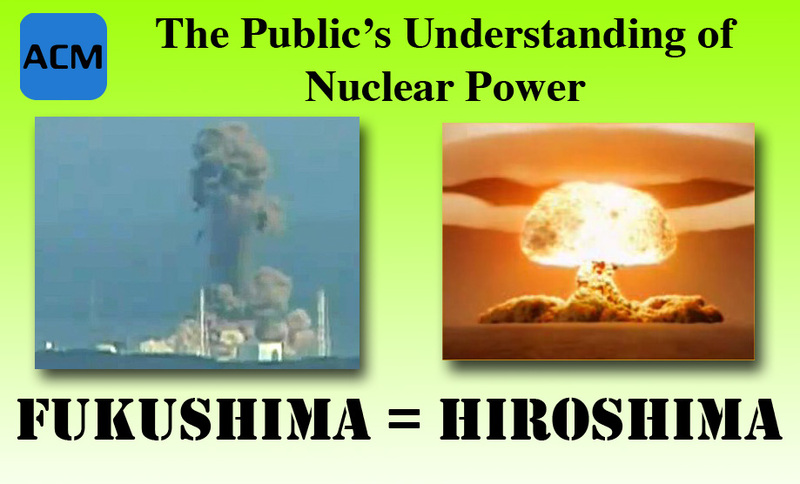 Prof Brook said it should be kept in mind that the explosions at the Japanese reactors were chemical, not nuclear. ‘The radiation dose threat to the public has been small, not one member of the public has died as a direct consequence of the reactor challenges, there has not been a failure of the primary containment vessels nor any large-scale release of radiation,’ he said. But Prof Brook said the Japanese crisis was a salient lesson for what the nuclear power had to do in the future. If CO2-related climate change is the apocalypse in waiting the climate change alarmists say it is, then nuclear electricity generation is the only option. Barry Brook correctly acknowledges this fact, and ACM applauds him for that. “Sixty years ago, my father was in the Royal Australian Navy. The ships he sailed on took him to the Korean War and to Japan, when Australia was part of the occupation force after the bombs ended the war in the Pacific. “Never let a good crisis go to waste.” The Japanese earthquake, one of the worst in recorded history, and the subsequent tsunami, caused extensive damage to the Fukushima nuclear plant, but its resilience is testament to the design of the reactors and the safety of their design. That, however, doesn’t stop hysterical eco-moonbats from jumping on the bandwagon and using Fukushima as an excuse to abandon nuclear power, despite the fact it is cheap, clean and safe, and the only realistic alternative to coal. In fact, despite some uninformed commentary, there has been no renaissance of nuclear energy, only a resurgence of pro-nuclear talk. While some enthusiasts claim new nuclear reactors would not have the technical limitations of Chernobyl or be built as dangerously as Fukushima, there will always be some risk of accidents. I was calmly sitting in a Christchurch coffee shop at lunchtime on February 22. We can be glad New Zealand does not have nuclear reactors. We simply don’t know enough about Earth to be totally confident that any specific location is safe. An accident in a nuclear power station is a much more serious risk than a problem with any form of renewable energy supply. Where do you start? Fukushima was built on an active fault, and was designed expressly for that purpose. When a massive magnitude 9.0 earthquake struck, there was no breach of the reactor cores, no significant radiation leaks, in fact it behaved exactly what it was supposed to. Contrast this with Australia, which has very little significant earthquake activity and massive reserves of uranium – the ideal location for nuclear generation. And to seriously compare nuclear power with expensive, hopeless, unreliable, inefficient wind is nothing more than a joke. Lowe is a climate alarmist, yet still cannot bring himself to admit that if you genuinely believe the AGW scaremongering, then nuclear is the only option for electricity generation. Delusional doesn’t come close. He genuinely and honestly believes that solar and wind can replace baseload coal and gas! Solar, that doesn’t work at night, and wind that only works when the wind blows. Words. Fail. Me. 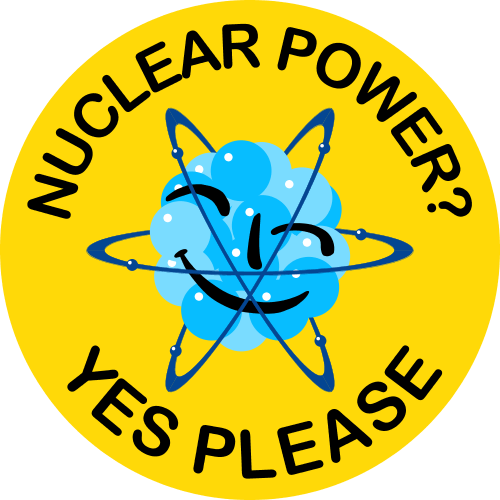 The scaremongers were certainly out in force last week, with talk of “meltdown” and claims that the Japanese nuclear power plant emergency threatened a disaster “worse than Chernobyl”. There is, of course, no parallel with Chernobyl at all. The problem at Fukushima was not the explosion of a working nuclear reactor (all its reactors had been automatically shut down). The main problem was the lack of water to cool spent fuel rods. Even if the overheating rods caught fire, the worst-case scenario was never more than that some radioactive particles, given an unfavourable wind, might reach as far as Tokyo. There was never any chance that this could compare with Chernobyl, although even the long-term effects of that 1986 disaster, as it turned out, were very much less serious than scaremongers at the time predicted.